As a parent, I am in constant battle with myself about my child’s diet. I don’t want to deprive him of things he enjoys, but I want to keep him healthy. I also want to make sure I give him the tools to maintain that throughout his life. My biggest struggle in life was learning to eat healthy and exercise later in life. I had so many bad habits (not to mention extra pounds) to lose and change before I could begin to live a healthy lifestyle. When I had my son, I made a vow to instill in him early the love and appreciation of healthy foods. I want to do it while still allowing him to be a kid, and letting him enjoy the perks and goodies that come along with it. When I can across this article, I knew I needed to share it with you guys. I am not saying you have to choose to follow all these tips, but maybe there is one or two in here that speak to you. Take a few minutes to read through it, and let’s be the type of parents who help our kids understand health and fitness and how important good health is to us all! This quote pertains to so much that we do in life, especially our constant struggle to lose weight. I have had so many people come up to me and ask “how can I lose weight” or “any tips on losing weight”. When I came across this article, I felt like it had some great tips I wanted to share. Eating healthy isn’t just the only way to get you to your goal. You need to be tracking (try downloading myfitnesspal to your smart phone), drinking lots of water, sleeping enough, and thinking positive! Take a few minutes to sit down and read this article. 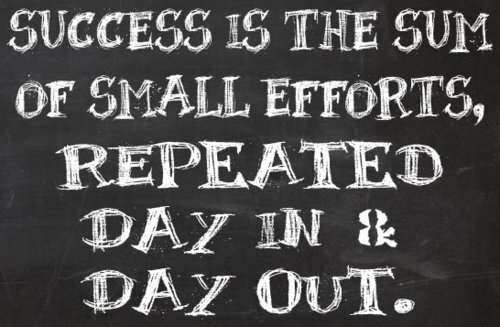 Try implementing the steps you aren’t doing and watch the changes happen! 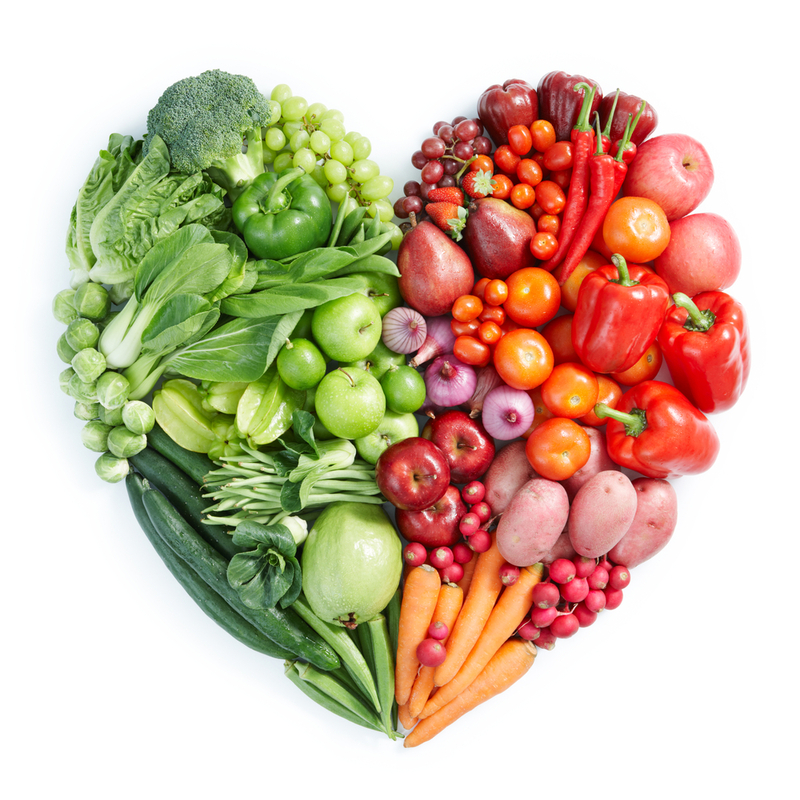 Keep an eye out for our healthy eating challenge coming up in September! Also, never hesitate to ask a coach for help or advice. We want you to feel like the best you and will help you get there!! In these days of go-go-go, sometimes it is hard to get in a good breakfast. Well have no fear, we have the answer…these healthy and delicious sausage egg cups. They are a great grab-n-go snack that you can make ahead of time. These cups are sure to get you ready to face the day! We hope you enjoy these egg cups as much as we do! Get a great start to a great day! Are You Eating Enough Calories???? It always comes down to nutrition…They always say you cannot out perform a bad diet. That works both ways, you can eat too many bad calories but on the flip side you can also not eat enough to allow your body to loose weight. If you don’t feed your body enough, it will go into survival mode and hold onto all that comes in. You have to make sure you are taking enough in to fuel your engine. Think of your body as a car and the food and calories you consume as the fuel. You won’t get very far if you forget to fill up! The same goes for your body! So don’t be afraid of food. It is just as important as what we do in the gym. 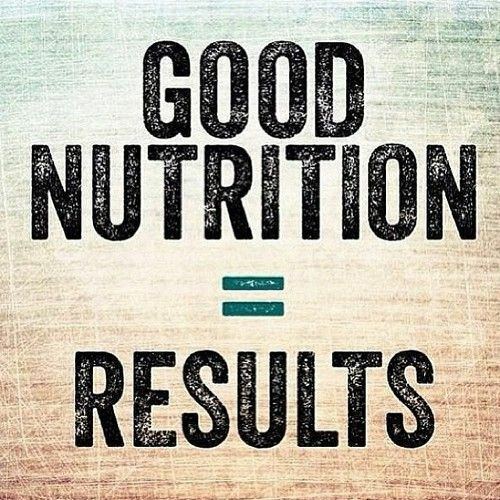 Good nutrition = results! So figure out what your body needs and feed that beast! The following article goes into detail about how important it is that we make sure that we give our body the amount of calories. Read up, educate yourself and start on your road to the body you have always wanted!!! Yum, yum, yum! I can’t say that enough about these scones. If you are like me, delicious treats like scones and such are a weakness. Imagine my happiness when my dear friend, Libba, shared this amazing recipe with me. 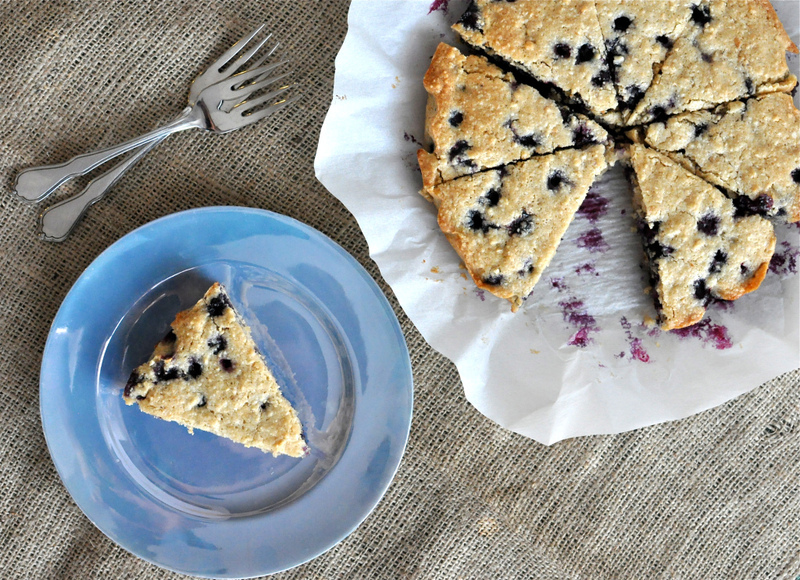 It was a way for me to enjoy the yumminess of a scone, but without the sugar and junk. I have made these for breakfast, but also as a dessert. The recipe calls for blueberries but I have also used peaches! Both ways will make your belly very happy! Enjoy!!!! 1 cup Fresh Blueberries (or 1 cup of peaches)…also I use frozen fruits! Preheat oven to 350 degrees F & line a 9 inch metal pan with parchment paper. Let cool for at least 10 minutes, slice, and enjoy! From side dishes to main dishes, we cover it all in Menu Monday! This week is a delicious healthy alternative to a traditional dish. 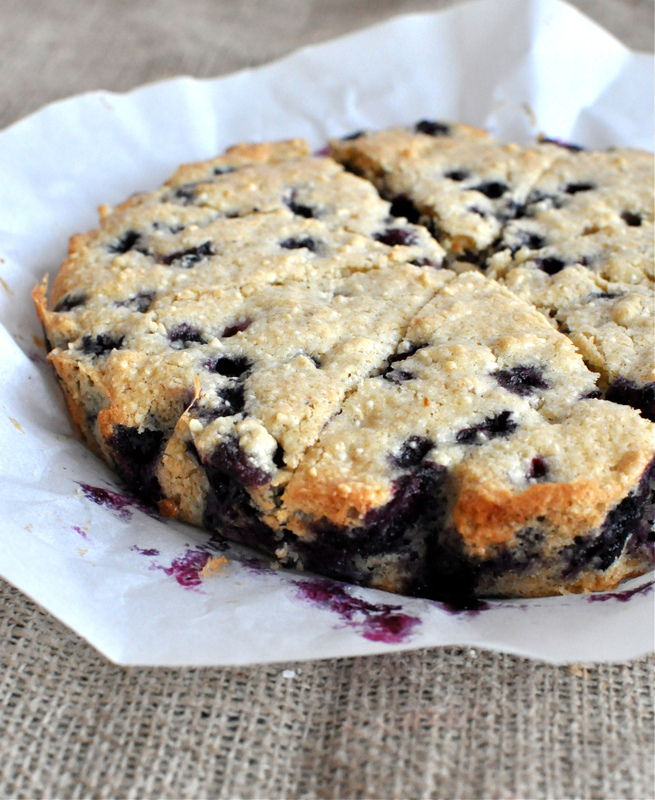 This version is so yummy, you won’t even realize you are missing the mashed potatoes! Enjoy!!! Heat oil in a large skillet over medium heat. Add onion and cook for 10-15 minutes, until soft. Add chopped bacon and cook until just getting crisp. Add carrots and celery, allowing to cook in bacon fat for 10 more minutes. 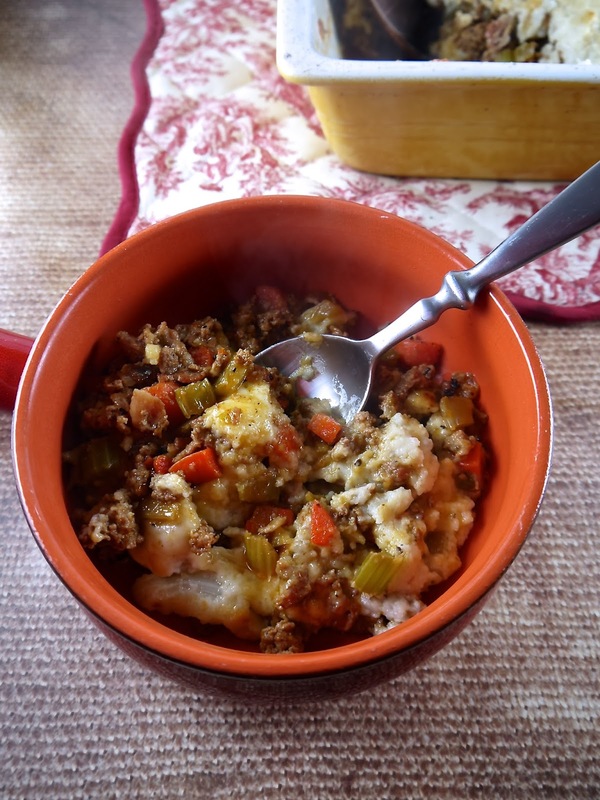 Add ground meat to skillet and break up with a wooden spoon. Cook until meat is just no longer pink. Season with salt, pepper and paprika. Add chicken broth and allow mixture to cook until the broth has reduced by 60%. Set aside. Boil cauliflower in a large pot until tender; drain and return to pot. Add butter and coconut cream, then puree mixture with a stick blender. If you don’t have a stick, remove mixture to a blender or food processor and run until smooth. Season to taste with garlic, salt, pepper and nutmeg. Stir in cheese, if using, until melted. To assemble shepherd’s pie, spread 1/2 of meat mixture over the bottom of a greased 9×13 baking dish. Spread 1/2 of cauliflower over the top, then repeat the layers with the remaining meat and cauliflower. Bake at 375 for 30 minutes. If using cheese, you can sprinkle a little on top, turn the oven to broil and cook for a couple minutes more to get a crispy top layer. Welcome to the newest addition to our blog…Menu Monday. Every Monday we will be sharing with you some of our favorite healthy recipes! I mean what better way to start out the week than talking about food! Hopefully some of these meals will help you to get a good, healthy start to your week. What you do inside the box is only half the battle, what you eat outside is so important for your fitness goals…whether it be to drop a couple of pounds, lean out or gain some muscle!!! We kick off Menu Monday with one of my all time favorites! In fact, I have to hide this from myself because it is so good I just can’t stop eating it!!! What was your favorite thing for breakfast as a kid? What was your typical meal in college? What is your late night guilty snack? If you are like me, you answered all of these with CEREAL!!! I love cereal. I can eat it morning, noon or night. The problem with all the ones in the store, is that they are loaded with oils, sugar and just really nasty processed ingredients. I searched high and low for a healthy option, but even the so-called natural granolas contained all sorts of yuck. I was complaining to John about this, when he said “why don’t you just google it”, the answer to pretty much all of the worlds problems! 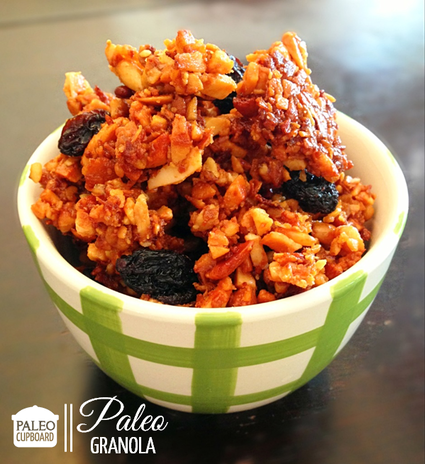 So I did and that was when I found this gem…Paleo Granola. The love story began and my life was changed when I put this stuff in a big bowl of milk! I hope you all enjoy this one as much as I do. Stay tuned for more yummy recipes to come!!! 2. Place the ghee or coconut oil, raw honey and vanilla extract in a medium sized saucepan over medium-high heat and allow to melt. Stir to combine, then add the ground nut mixture and stir until the everything is fully coated. Click here for link to the original recipe! Enjoy!! !